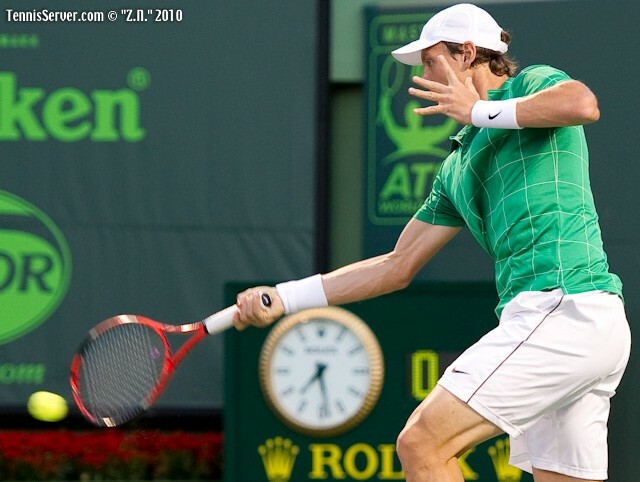 April 2, 2010 -- American Andy Roddick upset Rafael Nadal in the first semifinal at the 2010 Sony Ericsson Open Saturday, sending home a large and disappointed Latin fan population. 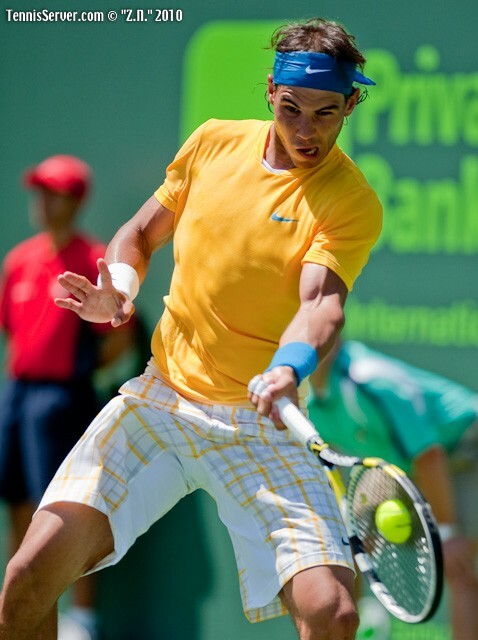 Nadal had been on a mission to become the first Spaniard in history to win this ATP World Tour Masters 1000 final. It was the Spaniard's second consecutive semifinal loss at a 1,000-level event. Last week in Indian Wells, Ivan Ljubicic defeated Nadal then went on to win the title. In the second semifinal, Czech Tomas Berdych, #16 seed, took smooth and quick care of Robin Soderling 62 62 in just over an hour. 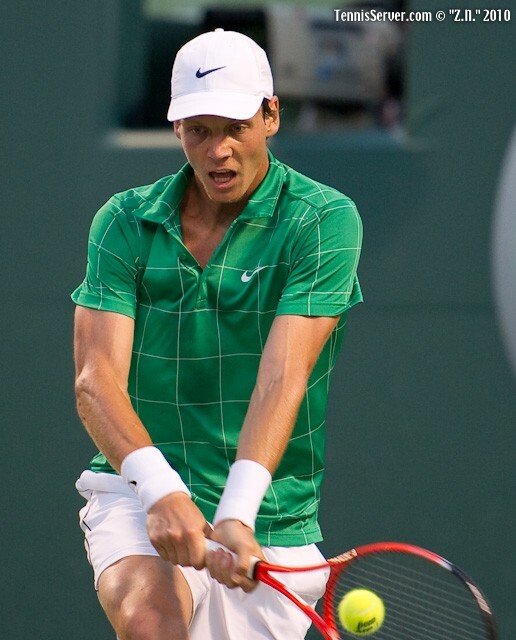 Berdych is the first Czech player to reach the final here in Miami since Ivan Lendl won in 1986. Berdych last won an ATP World Tour Masters 1000 final at the Paris Indoors in 2005. Berdych's return of serve and graceful aggression took valuable time away from Soderling, forcing errors off both wings. 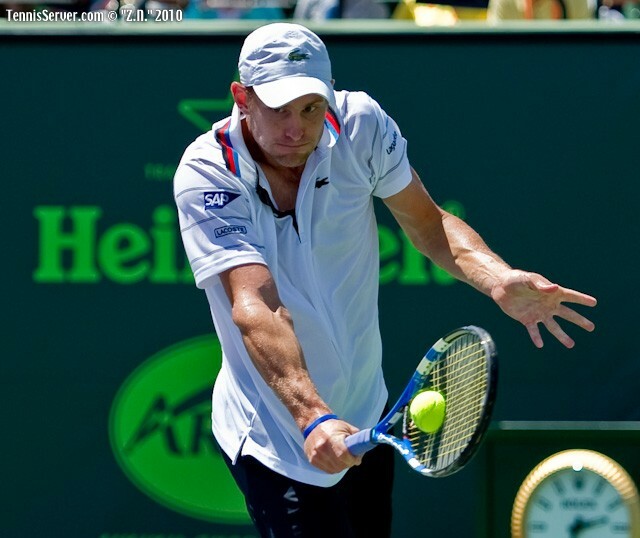 Berdych stood close to the baseline and stepped into the court to hit the ball on the rise. He remained calm and centered throughout the match. 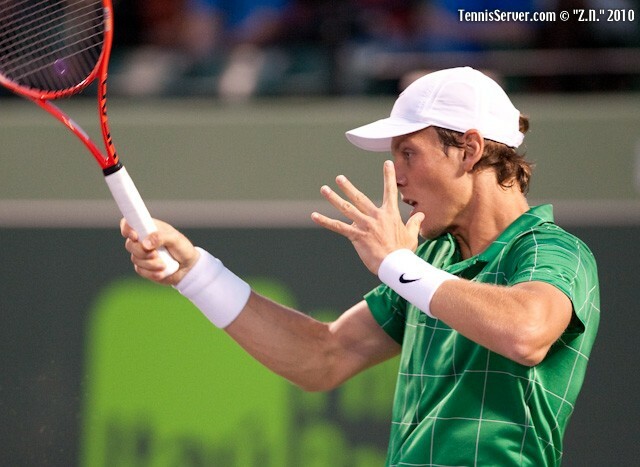 "This time I just need to play more aggressive and not wait for mistakes," Berdych said. "I gave him too much time to just do on the court whatever he wants." 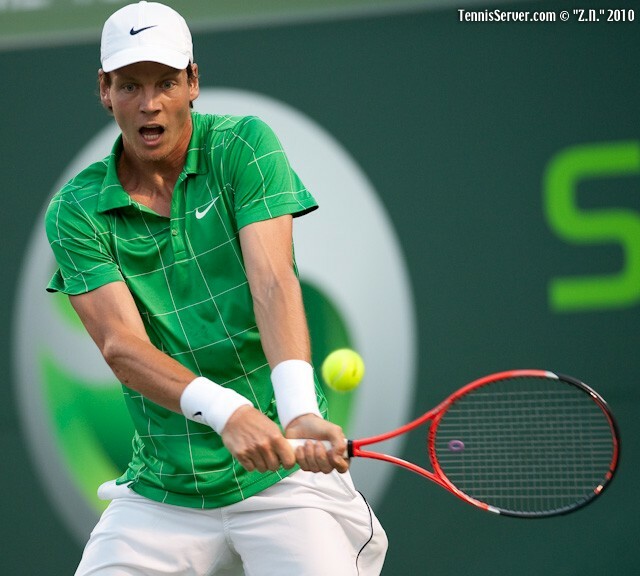 Earlier in the week, Berdych defeated Roger Federer 64 67(3) 76(6), saving one match point. 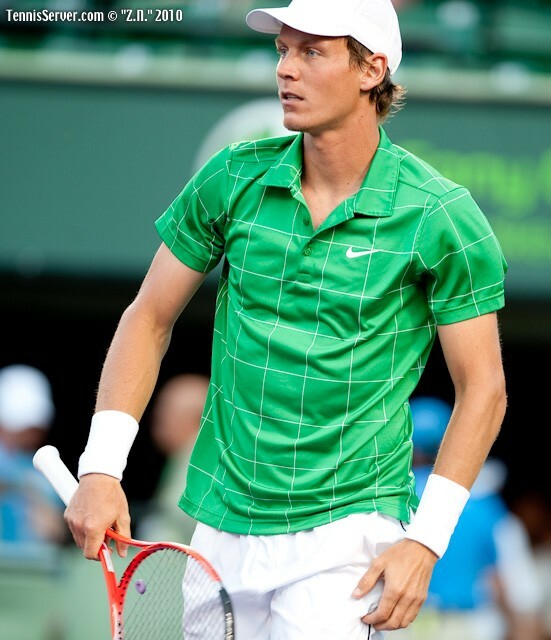 "I came to Indian Wells playing pretty good matches," Berdych said. "All those matches build your confidence, you know, that you feel well on the court and can really hit the ball well. That's what's been happening so far." But it was the Roddick versus Rafa match that started the semifinal fires on Stadium Court this afternoon. 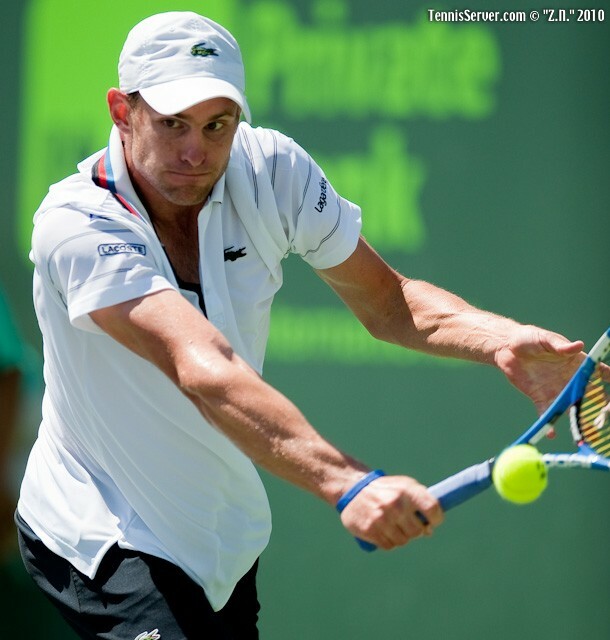 Surging back from a set down, Roddick, the #6 seed, captured the victory 46 63 63 by consistently serving well, being patient, and executing a gutsy serve/volley and approach strategy that he and his coach Larry Stefanki had worked on over the months. 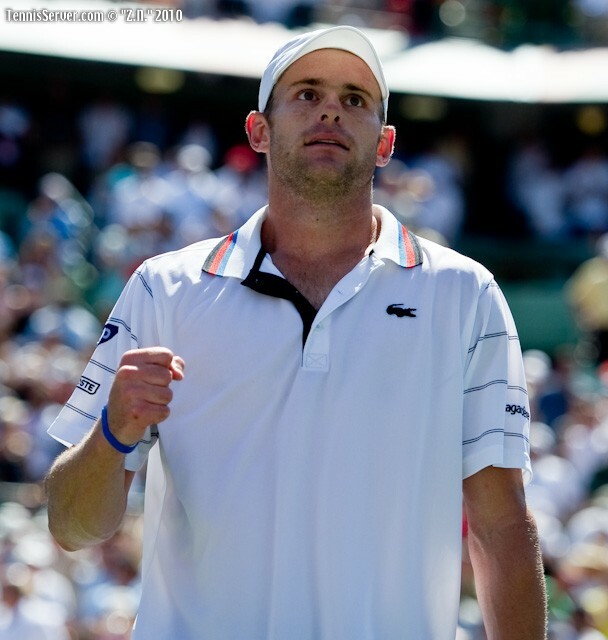 "I have been playing well over the last month," Roddick began. "So going into the match, we said, well, let's go with what you've been doing. Let's not come out and be desperate right away. So, I waited a little bit to be desperate." The new strategy left Nadal frustrated, nervous, and without a response. He lost the match when a forehand sailed long. 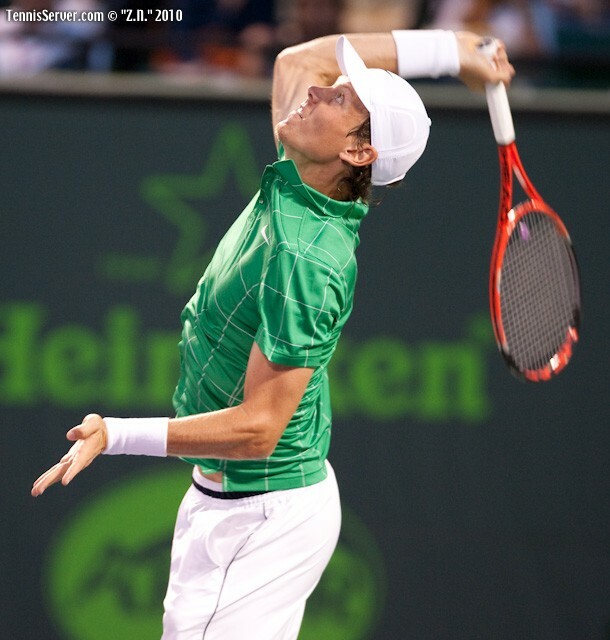 "I was like, I can't believe he actually just missed a ball on his forehand," Andy said about the last point. "Once I got past that I was pretty happy." Nadal had been on a trajectory of a solid, and probably embarrassing, straight set victory, even with Roddick having amassed 12 aces. 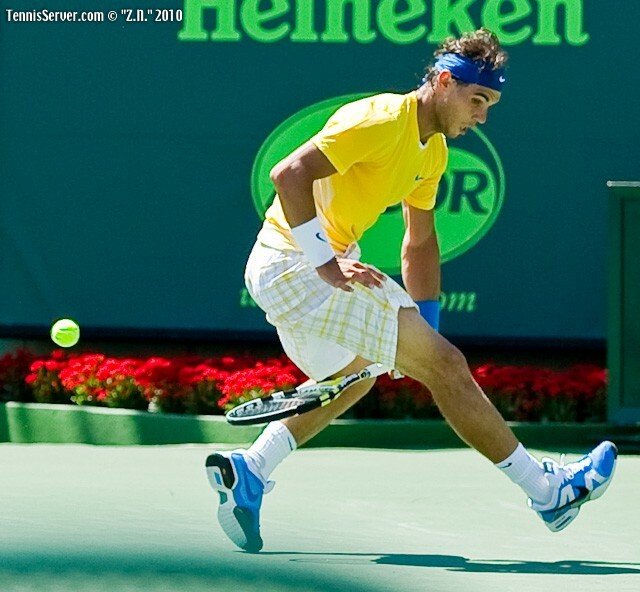 Nadal's forehand and backhand down-the-line shots were as accurate as an ace marksman. He reacted intuitively and perfectly to changes in pace and spin. 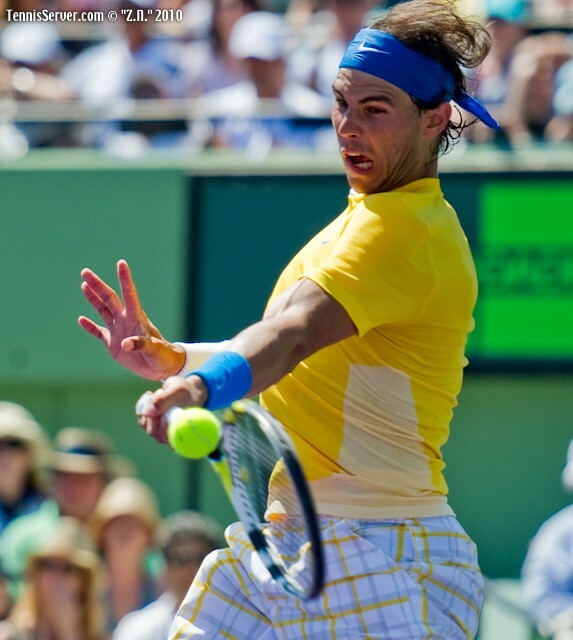 Roddick defended well, but in longer rallies Nadal slowly moved his opponent enough to hit a winner or force an error. 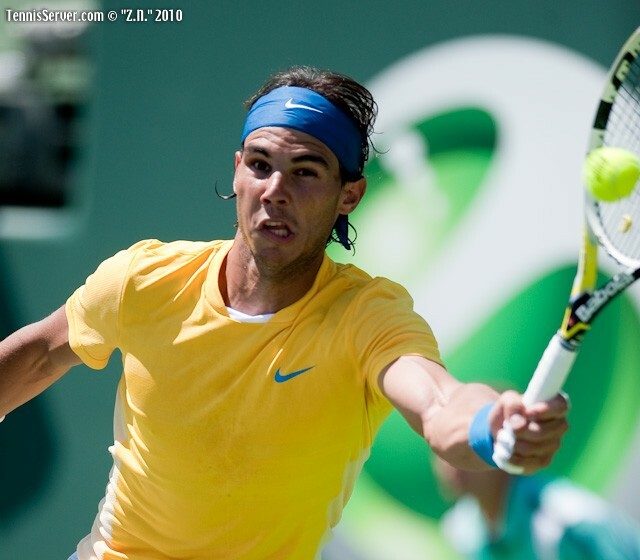 "I was playing well with the forehand," Rafael said. "I try to play more aggressive with my forehand, going to the net more times, and trying to play with rhythm all the time. Trying to go more inside [the baseline] than usual. I did very well." As Nadal staked his ground -- he won the first set in 27 minutes -- Roddick appeared complacent and despairing. His head dropped. His usual antsy, jittery gestures were vacant. 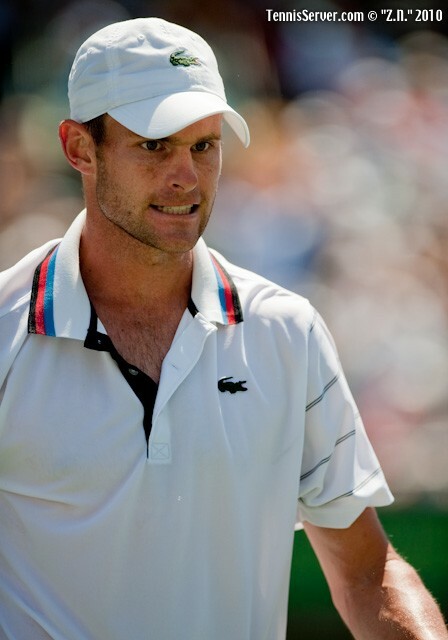 Roddick didn't interact with fans, as he sometimes does. He didn't get in any verbal volleys with the chair umpire, except once. 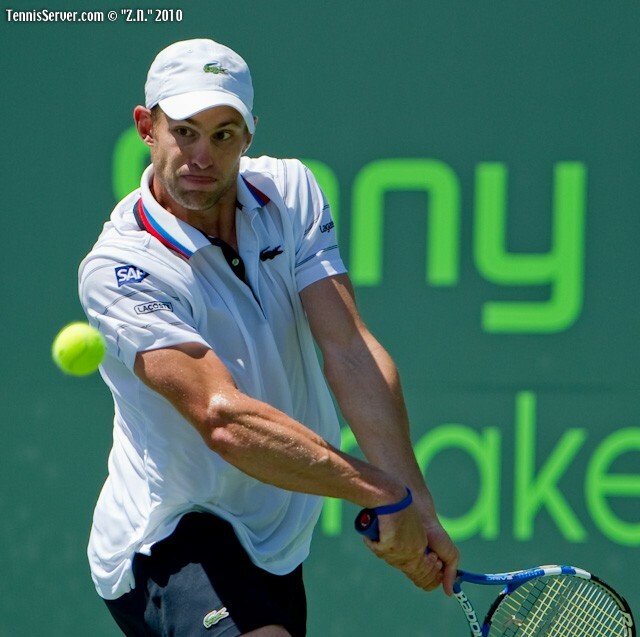 The Andy Roddick that fans witnessed today was the evolved mature, focused athlete stalking the court for an opening where he could impose his game. In a word, he was focused. "I took a lot of risk there in the last two sets," Andy began. "The best thing I can think of is I rolled the dice and came up Yahtzee a couple times. That's what I have to do. 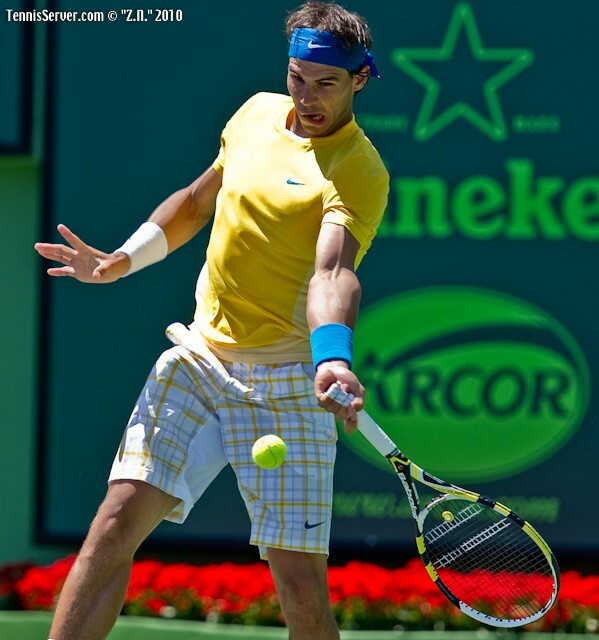 My comfort zone of moving the ball around and maybe chipping it around a little bit doesn�t work against Rafa. I had to try to come up with something that at least took him out of his comfort zone a little bit. It paid off." 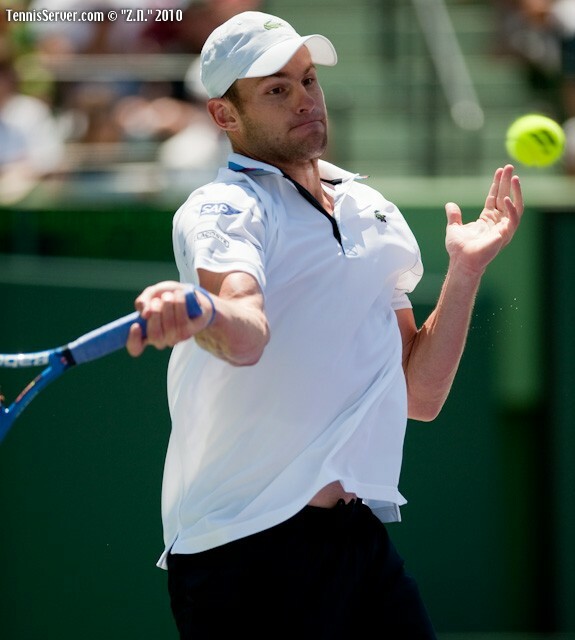 Roddick approached the net on his third break chance in game seven of the second set. 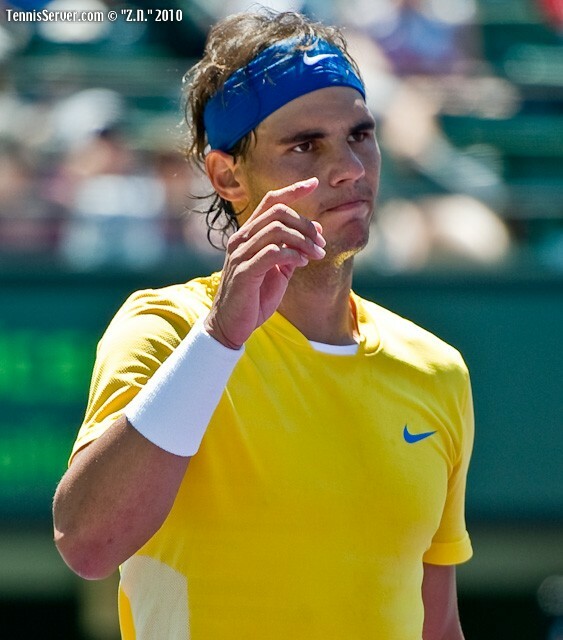 Rafa responded with an unforced error. The crowds erupted -- Andy!! Andy!! He pumped his fists in his first sign of determination. He had broken Nadal, going up 4/3. "When you play against the best world players like Andy, anything can happen." Rafael began. "I know him. He's a very good player, very good competitor. If you go down a little bit like I did today in the second and in the third, he beat me ... no?" Roddick won the next eight points and closed the set 6/3. He played smart, technically proficient, tennis. His new approach strategy clicked. "In the second set I wanted to come in on some more second serves because I wanted to take away the middle of the court," Roddick said. 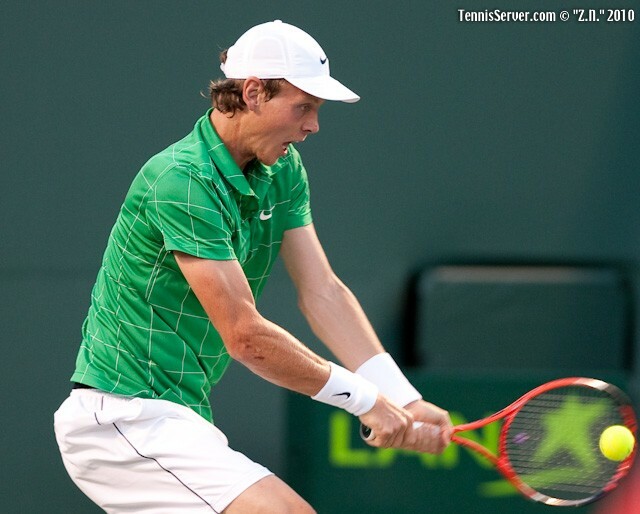 Andy had to go after returns or drown in longer exchanges as had happened in the opening set. 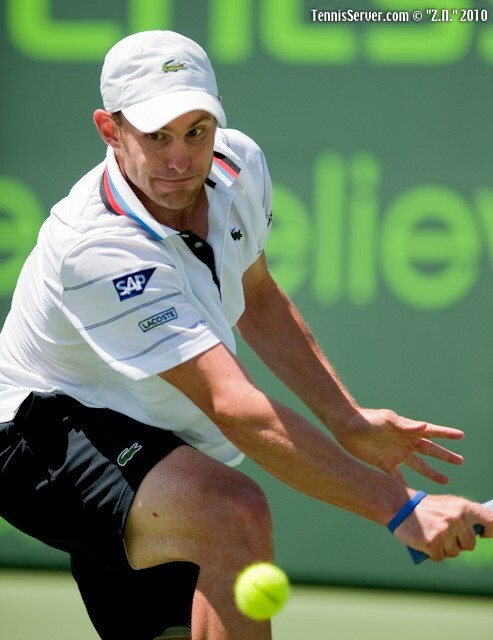 "I started sticking returns, and I got hot on my first and second serve returns," Roddick said. "I literally took really, really ridiculous cuts at a lot of forehands. They found the purple part. I executed pretty well." 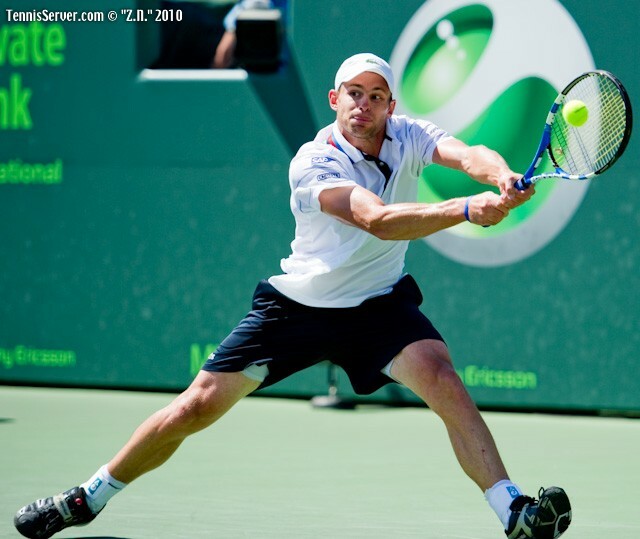 On Sunday, Andy Roddick will attempt to capture his first ATP World Tour Masters 1000 title since August 2006 in Cincinnati. 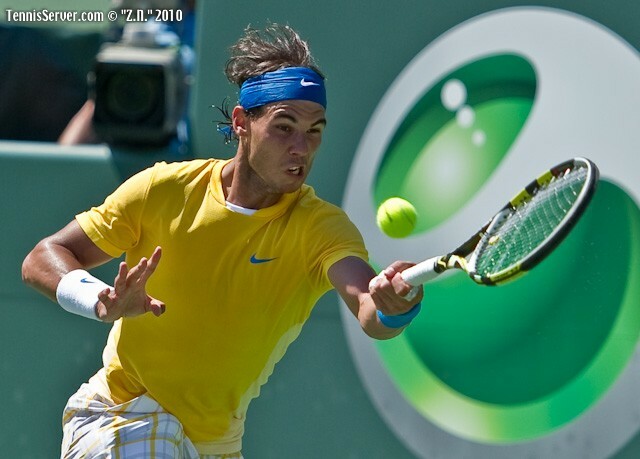 Sunday's final will be the first time in his career he has reached the final in Indian Wells and Miami, in the same year. 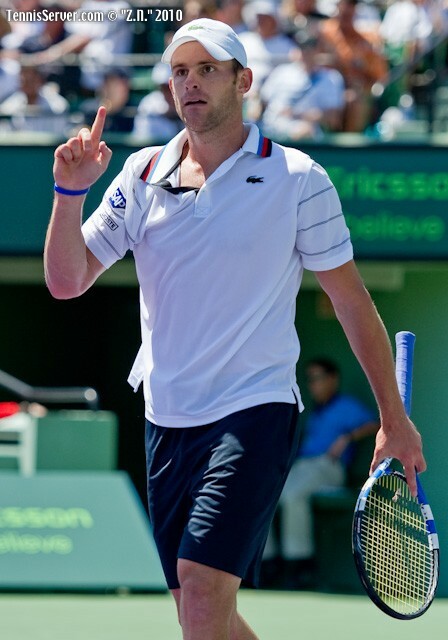 For Roddick fans, take heart and be expectant -- he is 4-4 lifetime in ATP World Tour 1000 finals. He last won Miami in 2004. 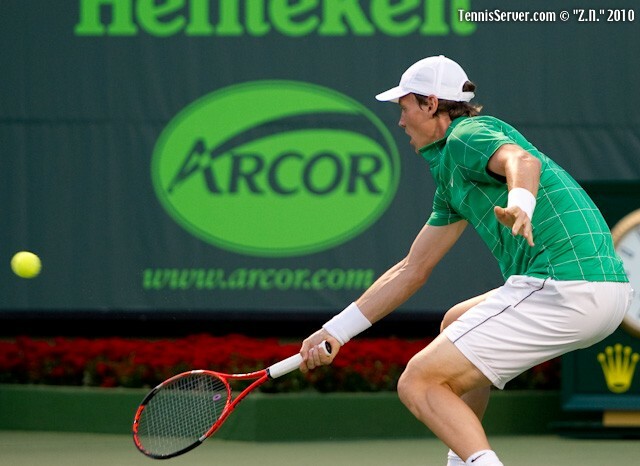 "The game against Andy is always really close," Berdych said. "Big serving guy playing solid from the baseline. 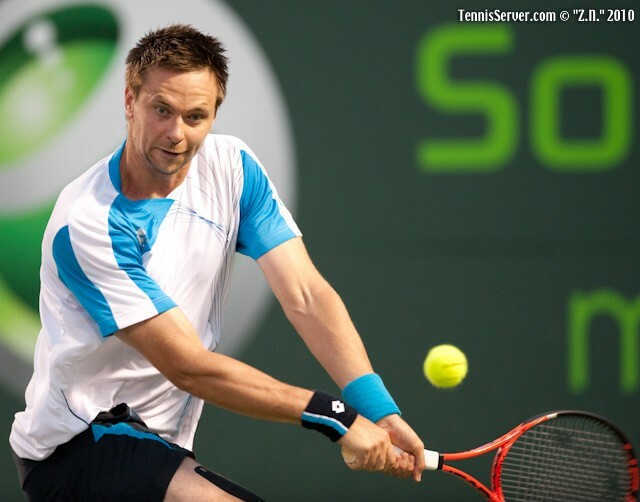 Last time we play in San Jose I lost two points in each set and lost two tiebreaks." Berdych is 2 and 5 against Roddick. 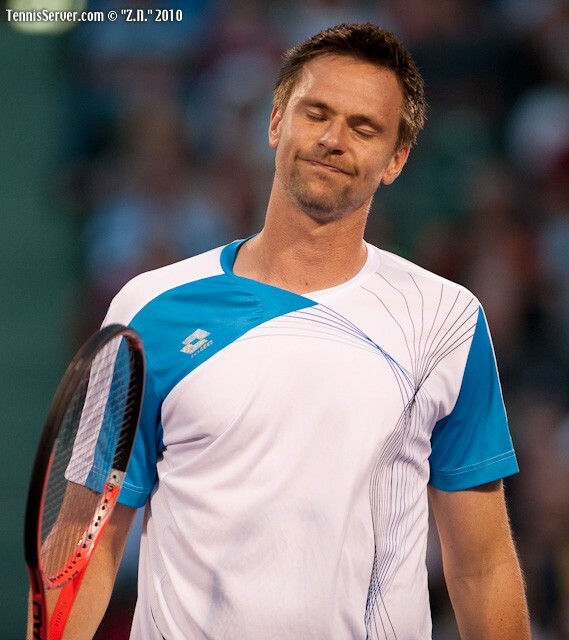 However, Berdych was 2 and 5 against Soderling until this evening.